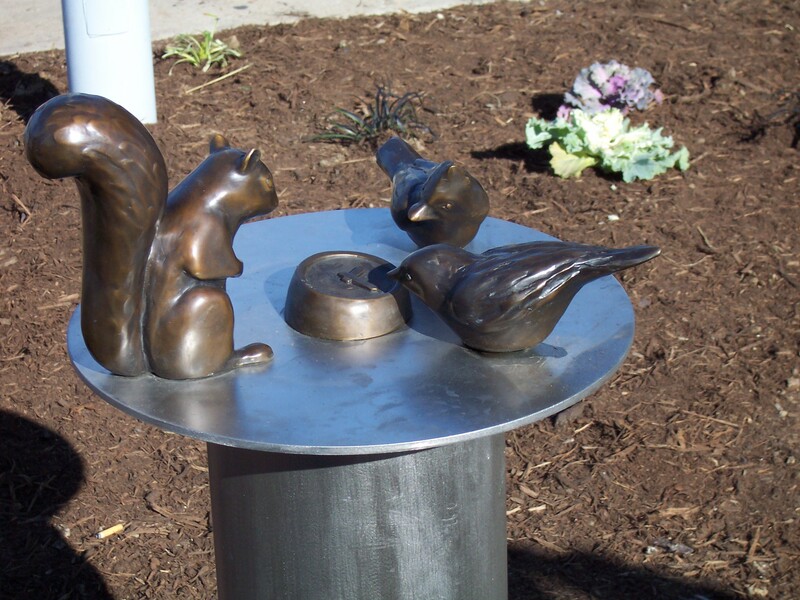 Birds, clocks and a friendly squirrel officially have made their home at the Wellston MetroLink Station. Don’t worry, these guys aren’t there bother you, rather to keep you company. 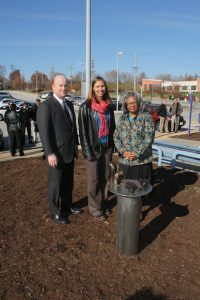 The set of bronze sculptures was added to the Wellston MetroLink Station as part of Metro Transit’s promise to upgrade the oldest parts of the MetroLink system through the Arts in Transit Program. Ten new art works are set to be installed across the Metro system over the next several years. The new set of sculptures populates the entryway and platform canopies at the Wellston Station. Artist Mary Lucking from Phoenix took time to sit at the station and examine the animals that live there; squirrels, cardinals, bluebirds, robins, and woodpeckers. Lucking observed how transit users are constantly looking at their watches while waiting for the train, and how differently animals experience the same space because they aren’t captivated by the anticipation of things to come. She titled her sculptures “Everyone Appreciates a Punctual Train” and they are one of many works Lucking has created to help people explore and understand the environments and communities where they live. Lucking’s sculptures are the first of ten installations in Metro’s Arts and Transit Program. Seven of those MetroLink projects will be funded 100 percent with federal stimulus money from the American Recovery and Reinvestment Act (ARRA). Those stations are the Stadium MetroLink Station, Wellston MetroLink Station, Union Station MetroLink Station, UMSL South MetroLink Station, CWE MetroLink Station, Arch-Laclede’s Landing MetroLink Station, and Lambert-St. Louis International Airport MetroLink Station. Funding for the remaining three, Forest Park-DeBaliviere MetroLink Station, Riverview Hall MetroBus Transit Center, and the future Downtown Transit Center, will come from Federal Transit Administration (FTA) grants where 80 percent of the each project will be funded with federal money and 20 percent with local funds. 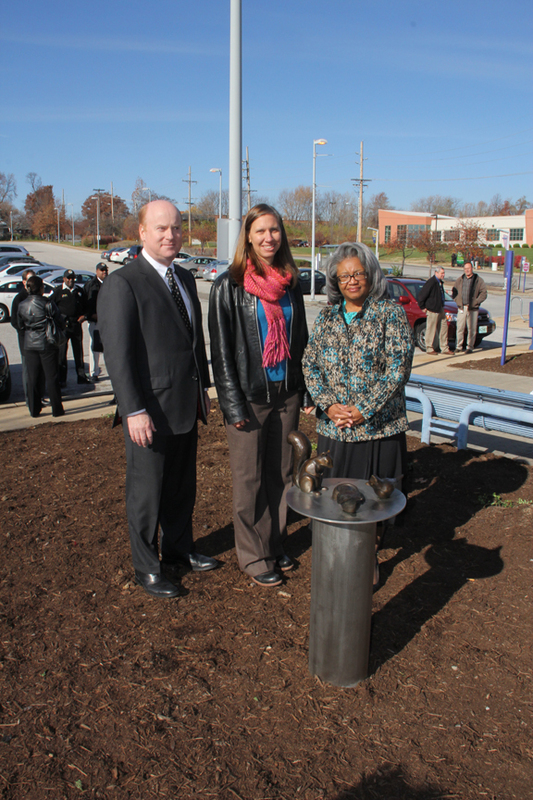 Want to check out more pictures of Wellston MetroLink Station’s new sculptures? Click here.